From only £450 + VAT per year! From our Responsive packages through to our Elite, each design can be tweaked to your liking. Colours can be changed, layout adjusted and many options can be selected making each site unique. We currently offer 17 cutting-edge website designs with lots more in the pipeline. All new Elite packages have our built in SEO module as standard to boost your search engine placement. All Car Dealer 5 packages have unique finance integration kits which can be activated at the flick of a switch. This allows any integration from Ivendi, Codeweavers and Evolution Funding to be up and running instantly. All of our latest car dealer website designs are GDPR friendly, fully-responsive and utilise the very latest technologies. All forms have a GDPR statement with tickbox and record consent accordingly to the dealer..
Our administration system is fully-responsive which means you can upload and manipulate your stock on the go through your phone. Car Dealer 5 was conceived in 2011 as a web solution for both large and small car dealers, but without the hefty price tag of other UK media providers. 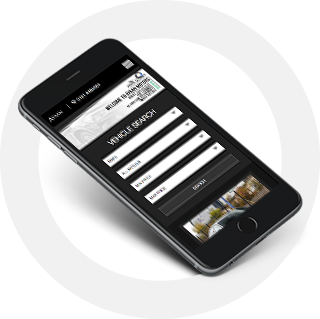 Car Dealer 5’s bespoke systems mean that our car dealers are assured of an automotive digital solution that suits them, is innovative, offers first-class service and, above all, offers great value for money. We’ve now provided hundreds of car dealers across the UK with web systems that simply ‘work’ for them, all at a cost that offers excellent value and cannot be matched by overpriced competitors. Upload your stock on the go using our responsive platform. Whatever device you choose to upload your stock, the responsive Car Dealer 5 administration system can accommodate. Upload all your images at once.. If you have a slow connection don't worry as we can tweak the system to suit you. It doesn't get easier than this. Rotate your images on-the-fly if you happen to upload them in the wrong orientation. Once your images are all uploaded it's so easy to simply drag and drop them into the desired order they need to appear. I have used Cardealer5 for my website now for around 1 year. They are a company focused on giving great service. They are friendly and very approachable, nothing is ever too much trouble. After many years in the industry working with many of the providers these guys are the tops. From a commercial point of view the website is set up quickly and is easy to update when required and the feeds are easy to set up. I can’t recommend them highly enough. Thanks guys! We needed a website pretty quick after a change in direction. After a brief conversation with David we choose the elite package. Absolutely cannot fault the service David has provided us. He is always on hand to help and deal with everything we need. The platform is easy to use and gives you lots of control. Really pleased with everything. We moved from an autotrader website over to car dealer 5, we were shocked at how easy a process it was! it was made easy by the staff at car dealer 5 who were fantastic from start to finish. The websites look great, are easy to use and the most important thing for us was the ability to change things on our website as and when we wanted which is fantastic! a* experience and product! Thanks. I decided to enquire at Car Dealer 5 about a new website. From the initial call our new site was up and running literally in a few days complete with all the bells and whistles you could ask for. Great sales and support team who are very responsive. Overall very impressed and would highly recommend. I'm really impressed with the Car Dealer 5 team, after looking at many different dealer website options Car Dealer 5 were by far the best solution at the best value for money. We signed up to their Elite package and WOW the result is amazing. The site is everything we need it to be for an amazing price! The admin system is simple to use and adding stock could not be easier it really is the perfect all-in-one solution for any car dealer. 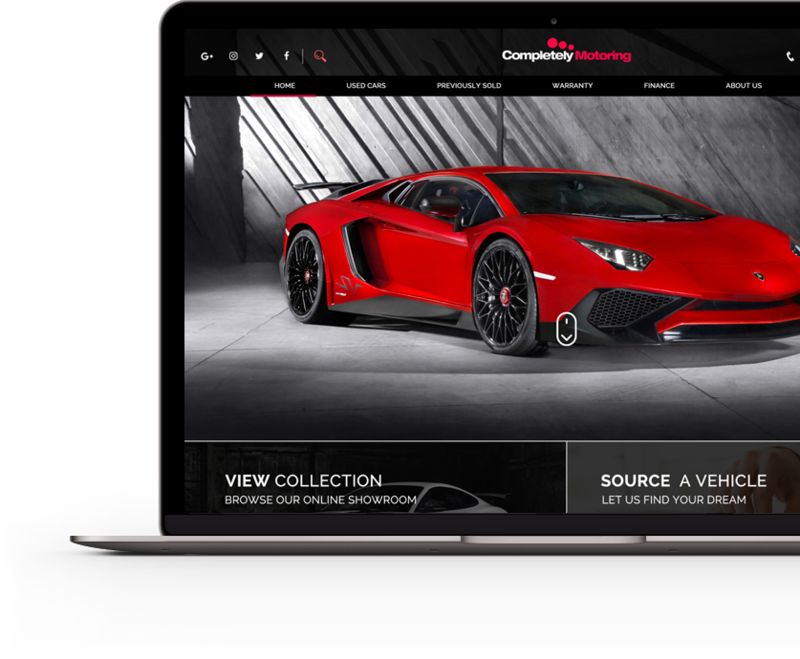 I look forward to growing my business with them and highly recommend their services to anyone needing a functional, responsive and modern car dealer website. Having just signed up with Car Dealer 5 for a replacement website, I have found the entire process to be very straightforward and both David and Ade very helpful. My old website was fine although had become a little dated, and the new website is better in function as well as being considerably less expensive than my previous site. Overall, extremely happy with the new set up. Thankyou Car Dealer 5! Brilliant people to deal with and made my set up very easy indeed and i have no trouble referring anyone who wants to use them in the future. Pace Motor Company have just signed up to car dealer 5 for a new website and we are very impressed with their service. Clear, straight forward, helpful and very quick. Very good value for money too. We have another website to build and won't hesitate in using them again and would happily recommend to anyone. I've been dealing with Car Dealer 5 for the best part of 18 months. After shopping around for a professional car dealership website, what made Car Dealer 5 stand head and shoulders above the rest was; they actually care. They paid attention to my needs and tailored a package accordingly and was very happy with the results. What's more is the ongoing support and after sales, I'm forever emailing the guys for advice or asking to add a new partners logo onto the website and it's done then and there. Always polite and they genuinely care about car dealers! Highly recommend this guys! Good product, always answers email straight away even after hours, quick and simple to use, fast uploads, ive had it a couple of years now, not looked back. Fantastic from David and team. Everything is always dealt with fast and effective and i feel that they go above and beyond to make our website look excellent. Very reasonably priced against their competitors and we have a partnership which we will continue for the coming years. I would highly recommend Car Dealer 5, nothing is too much trouble. brilliant communication, Very patient guys specially when you are a bit fussy about what you want :-), I found David & Ade to be extremely friendly, helpful, approachable and professional. I can't list any fault, all in all this is a 5* service. Very easy to use and set up. Any issues are sorted very quickly. Good choice of layouts. Easily enough room for description of vehicle. No complaints. Delighted with my new website and package, had been stuck on the Razor package for years and was daunting to make the move for me, David made it very simple and could not have been more helpful, withing 48 hours my new site is live and thriving and the appearance is exactly what i wanted, will be here a while 5 stars. First Class in every way 10/10 We have just started using Car Dealer 5 having moved our web site from Auto Trader, and are extremely impressed with the service, attention to detail and cost saving over and above the competition for a better product. We can't believe how much we have been over paying for all these years. We would Highly recommend Car Dealer 5. Great company with excellent customer service. If you are a motor trader you should be using these guys for your website, any issues are dealt with promptly and accurately cant recommend them enough, great value for money! Cant fault this website provider for car/van dealers Everything in the motor trade is over priced for dealers, unfortunately the nature of the game companies rinse us for every penny. These folks are DIFFERENT yippee! and a professional service throughout. extremely quick to design and get the website active and really easy to use even for a technofobe like me. Any problems or help you need they are quick to respond. Great value and its about time someone challenged the norm. I'm in my second year with cardealer5 now so please consider this a experienced review from a customer that has a. tried other suppliers and b has used this platform for 12 months now. David and Adrian at Cradealer5 have been like a breath of fresh air! Fantastic product excellent response to our website and superb support for us on a day to day basis. Professional and informative from the minute we signed up with Cardealer5. Excellent value, Great support, And easy to use platform. Recommended to Car Dealer 5 and delighted we were. David made the processes smooth and easy and addressed any questions or queries along the way. We would not hesitate to recommend. Happy team at Top Brand Cars. Dealing with Car Dealer 5 has been a breath of fresh air. The team are incredibly efficient and have made the journey achieving our new website a pleasure. Nothing is too much trouble, and we are incredibly lucky to have found them. Offering fantastic service at unbelievable value for money, I would recommend to any car dealer contemplating a new website to give Car Dealer 5 a call - you won’t regret it! Dear Adrian, Thank you ever so much for developing our website. Our previous website was very dated and was not responsive on mobile devices. The website you have created for us meets our needs exactly, it is easy to use and modify and very competitive in the market place, not charging excessive fee’s like some similar services who in are opinion are not as good. We like the way you are constantly updating and improving the sites admin area and adding new features all the time. If we ever have an issue or a question, help is always close at hand. Once again I thank you for a great service and will have no hesitation in recommending Cardealer5 and its team. I would like to say a big thank you to the whole team at Car Dealer 5, it is so nice to work with people that do exactlywhat they promise. Having moved from another provider it makes a nice change to have all my emails answered straight away. Any changes are made either straight away or given a very quick lead time which is always met. The product easier to use and better to look at but it is also much cheaper than I have been paying! Once again thanks to the team and I will be recommending you to all the other dealers I know! Hi Adrian Thanks for organising our website, we are delighted. Its easy to use, has been straight forward and your patience and help much appreciated! If you would like David or Adrian to give you a call to discuss any particular requirements, simply fill in this form and we will get back to you swiftly.